🙌 If you're Designer, Developer, QA or Product Manager you want to be sure—your app looks good. Flawless Feedback takes care about the quality of your iOS applications allowing you to simple leave feedback on the live app. Turn feedback into actionable tasks! Would you recommend Flawless Feedback to a friend? Nelly Kam has used this product for one week. Overall idea is good, bud needs some improvements. Good job guys. Ilya Zoria has used this product for one day. 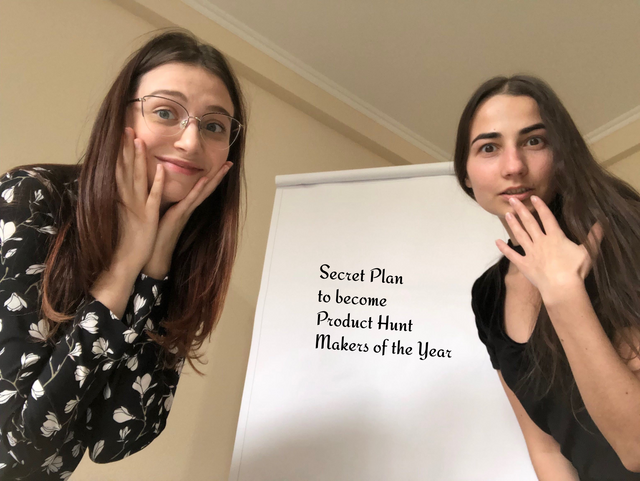 Hey to all Product Hunt community! ✨ It's our 4th product launch in the last 30 days ✨ Crazy! This time we're happy to share our 𝐟𝐫𝐞𝐞 𝐭𝐨𝐨𝐥 𝐟𝐨𝐫 𝐥𝐞𝐚𝐯𝐢𝐧𝐠 𝐟𝐞𝐞𝐝𝐛𝐚𝐜𝐤 𝐨𝐧 𝐢𝐎𝐒 𝐚𝐩𝐩𝐬. 🤔 Why leaving feedback? After talking with more than 100 product teams, we clearly saw — it's hard to deliver a good quality product on time. Something is always wrong... It can be UI issues like the wrong color, edge case with the copy localization or just initial design doesn't look good in the production. In all these case, it's better to get feedback early on and fix issues before users see them. That's why we made Flawless Feedback. @lisadziuba congrats Lisa and the team! @lisadziuba Wow, congratulatons! Give me please an exact numbers of Red Bulls, please? Good day to Product Hunt community! 👋 As a UI/UX designer, have you ever found yourself in a situation when you need to review the latest version of the mobile app and tell the developer what’s wrong with it? Making a whole bunch of screenshots on your phone, AirDropping them to Mac, writing poem-long feedback and sharing it to JIRA/Slack/Trello... Sounds familiar? 😅 Let me tell you 𝐡𝐨𝐰 𝐅𝐥𝐚𝐰𝐥𝐞𝐬𝐬 𝐅𝐞𝐞𝐝𝐛𝐚𝐜𝐤 𝐰𝐨𝐫𝐤𝐬. So you can annotate your live app in an instant: 1️⃣ A first and obvious step, you're opening Flawless Feedback on your Mac and signing up. 2️⃣ Then you mirror iPhone’s screen to your Mac using the feature all iPhone users have (called Screen Mirroring) 3️⃣ And you open an iOS app you want to leave feedback on. Actually, it could be any iOS app on your phone! 4️⃣ Ta-da! Now you can leave comments on any app screen and share the screen with your comments via the link. That's super easy. Give Flawless Feedback a try and let us know your thoughts! @valiahavruliyk congrats Valia and the team! As a side note, I want to publicly thank all my team 💛 (a moment of glory for the hard-working folks who really deserved it) Thanks ... 💜 𝗩𝗮𝗹𝗶𝗮 (@valiahavruliyk ) for making all those awesome animated favicons, marketing designs and text in our Product Hunt submissions. Thanks for curating Awesome Design Tools and making our Product Accessibility Checklist, which won Maker Festival 🎉 Thanks for your positive vibes and songs (Valia sings 🎶 if she works late in the office). 💙 𝗩𝗼𝘃𝗮 (@vladimir_berezovsky) for creating all our landing pages beautifully and super fast! Thanks for building Flawless Feedback web part, supporting all crazy ideas of our marketing departments and keep consistent faith in our startup. Thanks for answering me in Slack at any point of day or night 🙈 💛 𝗔𝗻𝗱𝗿𝗲𝘄 (@dilames) for leading our core development with Flawless Feedback and Flawless 2.0. 🐱‍🏍Thanks for coding elegant and working solutions in every one-week sprints! Thanks for bringing fun and nerdy jokes to our team. 🧡 𝗔𝗵𝗺𝗲𝗱 (@geek_1001) for being the best co-founder ever during all these 4 years. Thanks for building first Flawless App, Reduce, our Medium blog and all many things we delivered togther. Thanks for leading our team, leading by example. Thanks to my team, keep rocking! @lisadziuba oh, it's so sweet 💛 And I want to thank you, Lisa, for being a perfect mentor and friend! Thanks for all your crazy ideas, when impossible things are possible. And thank you so much for your faith in me and all your support. I am so proud to be a part of this amazing team! Happy to be in this team! @pavlo_pedenko 😱 oh, no! you found our secret plan.... Please, don't tell @rrhoover about it!